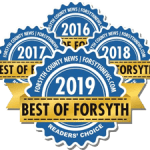 If you’re looking for the best Sandy Springs roofing company, it’s time to consider our team at Hopewell Roofing & Restoration. We are simply the best at what we do. Lest you think we’re just staking a claim where we have no right to, know that we have good reason for this assertion. Our clients and customers routinely gush over our friendly service, our clear explanations of options, our dedicated help in insurance matters and the expert construction we provide. If that sounds like a pretty good deal, we invite you to find out more today. Your home is vulnerable in many places: the windows and doors, the basement, the plumbing. If you fail to keep up any of these systems, you may find yourself at the mercy of flooding, mold, mildew or deterioration. Nowhere, however, is as dangerous as the roof. When damaged, it can let in the elements from above, quickly deteriorating internal structures such as the attic, the fireplace, venting, insulation and more. If you want to give your property the best chance of protection over the long haul, it’s critical you maintain a solid roof. The good news? You only need a roof once every 20 to 50 years or so, provided the job gets done right the first time. That’s where we come in. … and more. Obviously, these are all problems best avoided, which is why you need to work with a dedicated roofing expert who can get the job done the first time. If you guessed that we’re that roofing expert, gold star. 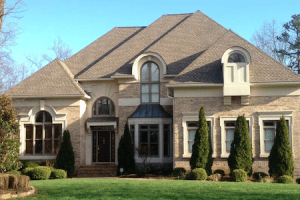 We’re here to provide you with the finest quality roof anywhere in the Sandy Springs area, so there’s no need to wait any longer to get in touch. If you’re ready to find the highest-quality Sandy Springs roofing company, it’s time to get in touch with us here at Hopewell Roofing & Restoration. Our friendly team will guide you through the entire process, from first contact to the finishing touches on your beautiful new roof. Give us a call at 678.771.5372 or connect with us online, and we’ll get back to you as soon as possible. It’s time for a new roof, and for peace of mind…because a shower is for bathing, not crying.